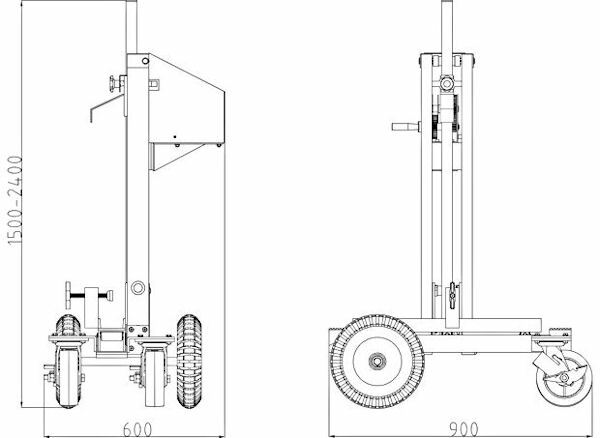 This one of a kind Hand Cart is designed for raising, loading, and unloading finished pieces with minimal labor. It is constructed of a vertical steel channel where pieces can be raised or lowered using a hand crank. The hand crank is located on the controlling unit away from the material being handled for safety purposes. A rubber lined channel can accommodate pieces up to 70mm.